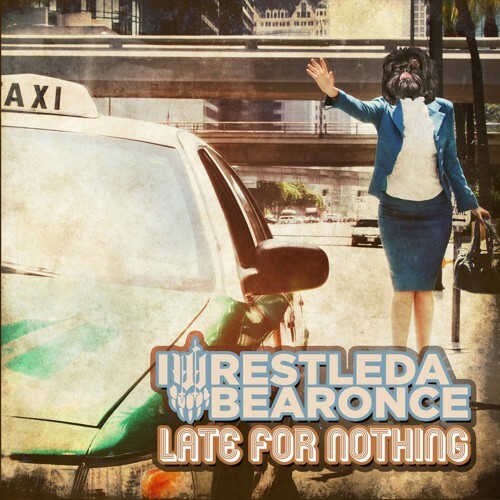 Iwrestledabearonce have always been the kind of band to polarise the metal community. It’s safe to say it’s a love ‘em or hate ‘em situation when it comes to IWABO, there is however no denying that the band has spent the large part of the last decade redefining what it means to push the envelope in the world of metal, all while truly never taking themselves too seriously, which in itself is a refreshing change of pace in today’s musical climate. IWABO first burst on the scene with their own brand of experimental metal back in 2007 with the release of their debut EP and have been building and subsequently redefining their style over the course of three full length releases. 2009’s ‘It’s All Happening’ burst the band on to the international scene and built on the ideas presented on their debut release and 2011’s ‘Ruining it for Everybody’ found the band further refining their sound, while starting to experiment with a more straightforward song writing approach. Fast forward to 2013 and IWABO is a completely different beast to the band that first began by releasing an EP recorded out of their bedrooms. The most notable and significant change being the replacement of previous singer Kyrsta Cameron with long time friend of the band Courtney LaPlante. Kyrsta’s shoes were always going to be difficult to fill as her trademark guttural screams and soaring melodic vocals were always an important part of IWABO’s sound. Late for Nothing is the first album to feature Courtney’s vocals and anyone doubting her credentials will be put at ease after listening to the opening and perhaps standout track on the album ‘Thunder Chunky’, her guttural screams being a sure highlight of the track. The biggest notable and perhaps deal breaker for some in the vocal department between the two though, is in their clean singing styles, whereas Krysta made it all seem too easy, Courtney’s vocals while not necessarily bad in anyway seem to be a little forced and tired in some songs. Perhaps a result of trying to emulate Krysta’s style rather than pursuing a more tailored path suited to her vocal style. While a somewhat more straight up song writing approach is a focus on the album, it is not to say that they have lost the qwerky and fun elements that have garnered them the strong fan base they have today. The ultra poppy midsection of ‘Firebees’ and the Latin infused ‘Carnage Asada’ featuring a guest solo from guitar virtuoso Steve Vai are both good examples of this. Thankfully their fondness for random/interesting song titles has not eluded the band just yet either. Overall Late for Nothing is without a doubt the most accessible and mature release from IWABO to date. Sure there are still some kinks for them to work out, most notably how to effectively utilise and work around Courtney’s vocals, but the music and ideas present sure paint for a promising future for the band as they continue to evolve. Late for Nothing is a solid release and a great platform for the band should they continue to further refine their sound and direction.